10 YEARS GROPING FOR THE STARS! 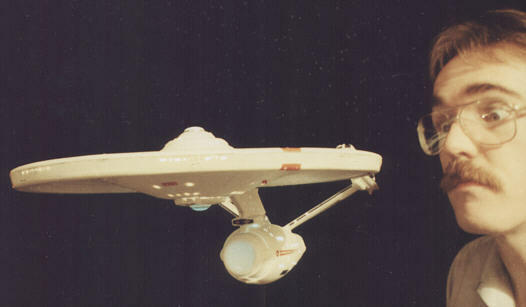 In the years following the cancellation of the original STAR TREK series and the premiere of STAR TREK: THE MOTION PICTURE there was much grumbling throughout the land. Fans created fanzines, costumes and conventions. 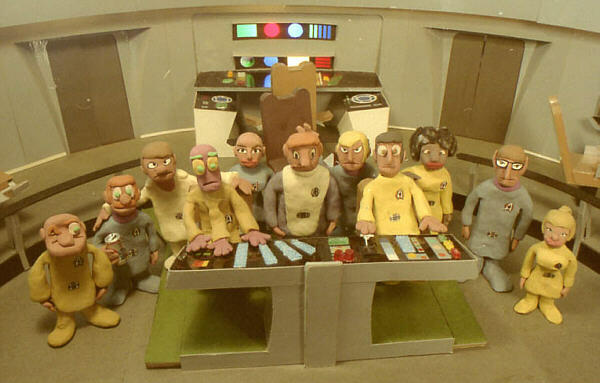 NBC created an animated version of STAR TREK for Saturday morning TV. I created three animated short STAR TREK spoofs from clay and cardboard. So stop in and read the tale that began in a U.S. Air Force barracks room and continued through the Disco days of Hollywood and beyond. 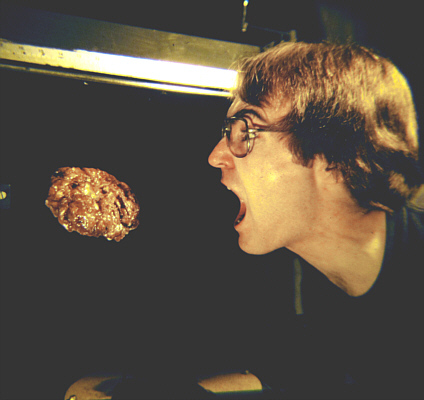 This Site will illustrate my clay animated short films from the 1970's and the 43 minute STAR TRIX film completed in 1986. The Triumphs, the Setbacks and the Apple Fritters that went into these films will be explored. 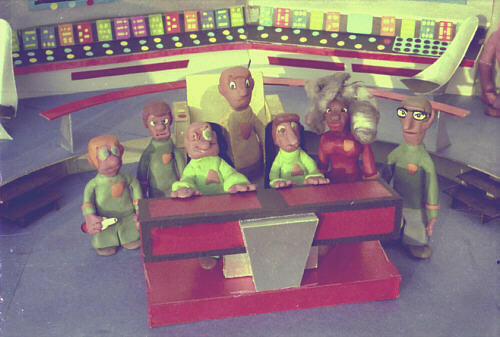 The Bridge crew from the 1974 & 1975 STAR TRIX. The expanded Bridge crew from the 1985 STAR TRIX: THE FLICK. 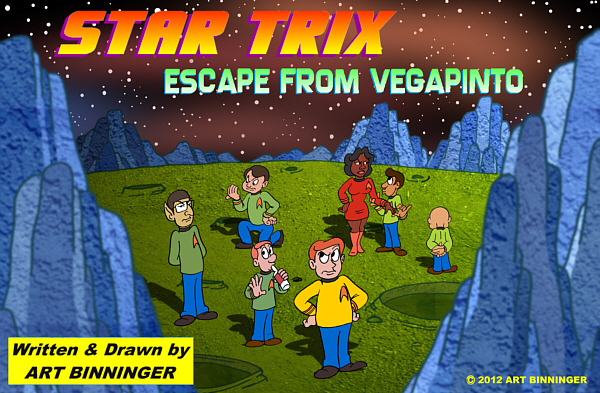 Since there is a certain interplay between this site and my Blog Art Binninger's BONUS FEATURES I wanted to take some time fixing the Links for the Comic ESCAPE FROM VEGAPINTO. The ones I had here only went to the Home Page of the blog and not directly to the story. That's been corrected here on the ESCAPE TO VEGAPINTO page with Links to all six installments. 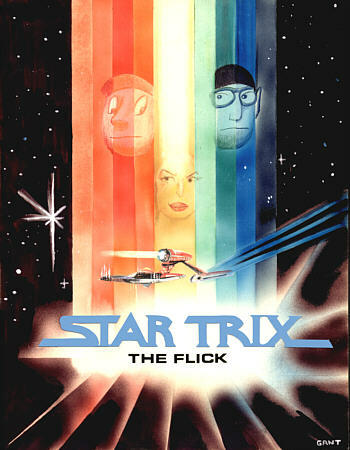 STAR TRIX: THE FLICK Returns to YouTube! CAN'T WAIT TO CONTACT ME? WELL JUST CLICK HERE! For those who are curious about the Star Trix comic, I've posted some of the backgrounds on my Google blog. This will give you a chance to see them before they're pushed to the "backgound" by the characters and story. And to save you some clicking, I only had enough space here to post Part One of ESCAPE FROM VEGAPINTO. The entire story will be played out on BONUS FEATURES so check 'em out here starting on April 26, 2012. Grant Hiestand found a cache of slides he shot during production on STAR TRIX - THE FLICK, most of which I'd forgotten about. I'll be posting some of them in ST-TF section soon. I've put some on the Home page as well. 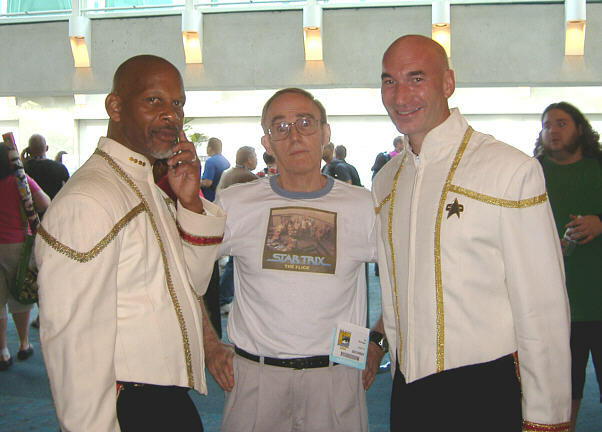 Art and two captains at 2008 San Diego Comic Con. The pages detailing my pre-STAR TRIX films made while I was in high school have all been completed. Aside from the finished episodes, I found footage of a couple of scrapped films that I've posted as well. While viewing them again, I was reminded of all the tricks I tried in those two years that eventually led up to STAR TRIX. Before resorting to clay for my actors, my rubber-faced brother Tom romped in front of the camera playing a Martian kid (Hmm, sounds like a recent film title) and his Earth look-alike. Check out the TOM VS. JOE LA RITA sections. Hey! Check out my new comics site Art Binninger's BONUS FEATURES. See Links. 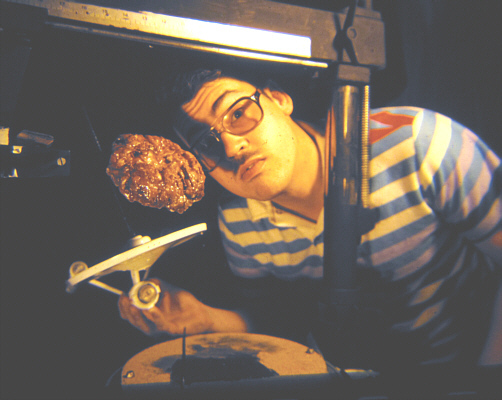 Grant Hiestand with ship model and Fritteroid. 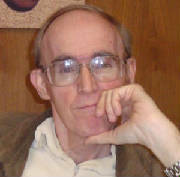 Animator/Storyboard Artist Lou Scarborough, a supporter of STAR TRIX since the late-1980's, passed away on August 5, 2013 of cancer. His blog is still up and you can visit his work at scarboropolis or check my Links page. 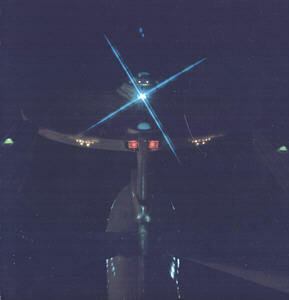 STAR TRIX FOUND, AGAIN: There's been some confusion on my part as to posting Links to the films that actually worked. Marc Steinijans, a fan in Germany has gone to the trouble of reposting the first three short films on YouTube again. So check the Links in the sections about the individual movies. A big Thank You to Marc and his friends for getting the films back out there. I met bodybuilder Robby Robinson at the 2007 Mr. Olympia Expo in Las Vegas (just down the street from the Hilton where the Star Trek Experience is located). I built bodies out of clay so there's a good excuse to exchange Links (plus he posted a 2D animated loop I did of him on his Blog). Check his site then drop and give me 15 reps! See the Links page. Rob Spitz, who first posted STAR TRIX had a falling out with YouTube and had his account deleted. This included STAR TRIX and STUPID STORIES. They are still out there on non-YouTube sites and may return to YT eventually.